Picking up right where Painkiller's story left off, Battle out of Hell includes an additional single-player chapter with 10 levels, as well as new multiplayer modes, maps and models. It will also offer an amplified arsenal of un-deadly weapons, bigger and badder bosses and the map editor Software Development Kit. For replay value, there are different goals while playing: finishing the level, meeting different challenges (kill a certain number of enemies, use only one weapon) and specific goals such as collecting all secret items or smashing every object. Meeting these challenges gives you black tarot cards with special abilities. Each level also has a batch of new enemies. Two new weapons with dual firing modes have been added: the Boltgun/Heater and the SMG/Flamethrower. Additionally, the graphics engine has been updated for the expansion as well as the base game. 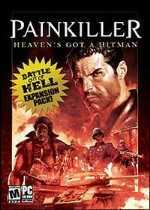 The awkward netcode from the original game, which has been rewritten for the Painkiller: Hell Wars Xbox version, has been implemented in this expansion pack. Two new multiplayer modes have been added as well: Capture the flag and Last man standing.